Child custody issues are often the most emotionally charged part of the divorce process, and can cause a great deal of anguish. When solving questions involving custody you will be forced to grapple with decisions concerning which parent the child will live with and how they will be provided for. No two divorce cases are ever the same so it’s vital that you speak with one of our Washington child custody attorneys about your situation as soon as you can. For the sake of your child’s well being, you and your ex-spouse will have to negotiate and accept terms related to child custody. This is not easy, mostly because it is common for divorcing parents to have very different opinions on how their children should be cared for. Getting through this difficult process will require hard work, and our Washington child custody lawyers are equipped to help you secure the best future for your children. The first order of business for your Washington custody attorney will be to identify your custody goals. From there, we will guide you through the negotiation process with your ex-spouse to help you reach an agreement. Our custody attorneys in Washington will attempt to accomplish this through artful negotiations but, if necessary, we will argue for your interests in court. According to Washington law, you are required to create a parenting plan that outlines who your children will live with, how child support is delineated, how decisions regarding your children will be made, and how disagreements will be settled. Creating this document requires open communication between you and your ex-spouse, and the role of our Washington child custody lawyers is to help you maintain focus, while working toward a fair agreement. We understand that you want what is best for your children, so our Washington child custody attorneys act as your personal advocate to get you the best end result possible. Coming to an agreement might not be easy, and it’s common for the negotiation process to have its ups and downs. However, our Washington child custody attorneys believe that a compassionate approach lends itself to more open communication, which is vital if an agreement is to be reached without court interference. Once a mutual understanding is achieved, our Washington child custody lawyers will present your Parenting Plan to the court. You can contact our Washington office either by phone or by filling out our online form. 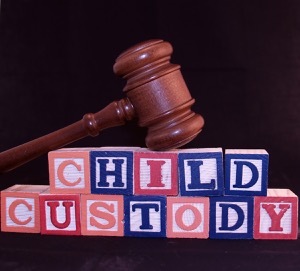 Within 24 hours, a child custody attorney will contact you for a free consultation. This is your chance to get some facts about your case, so that you can act in the best interests of your Washington family. Contact us today for help and guidance when creating your parenting plan.